Mold and mildew are types of plants, belonging to the fungus family. They grow in warm, damp locations and will thrive on leather surfaces that are stored in such a location or allowed to get damp and stay that way. Left unattended long enough, mold and mildew will destroy your leather surface. Since leather is not washable and will become damaged by excessive amounts of liquid, the most important aspect to removing mold and mildew from leather is doing so thoroughly but without damaging the natural material. Care for your leather goods properly to ensure they're not exposed to mold and mildew. Mix one cup rubbing alcohol and one cup water in a bowl. Dip a clean cloth into the diluted rubbing alcohol solution, then squeeze out the excess liquid. Wash the leather surface where mold and mildew are present, frequently rinsing the mold and mildew off the cloth, then adding more diluted alcohol. Fill a bucket with warm water and a couple capfuls of saddle soap. Mix the solution with your hand to create a soapy solution. Wet a clean cloth with the saddle soap solution, then wipe the leather where any remaining mold and mildew are present. The sunlight is a natural mold and mildew killer. Rinse the surface of your leather with a cloth dampened in plain water. Dry with another clean cloth. Place your leather item outdoors in the sun to dry completely or near an open window. 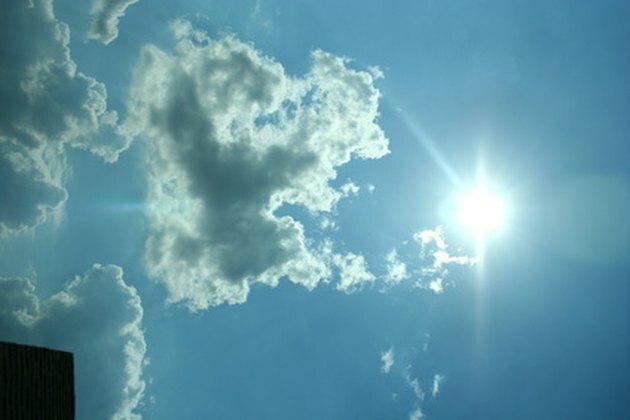 The sun will kill any remaining mold or mildew spores that have gone unnoticed. Pour a quarter-sized amount of leather conditioner onto a clean cloth. Rub the leather conditioner into your leather surface where the mold and mildew were removed to restore the moisture level of the leather.